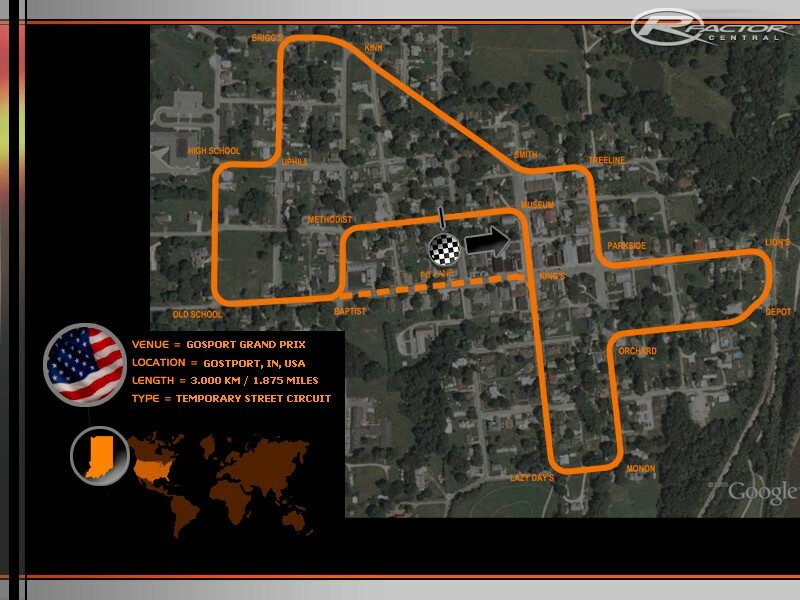 Temporary street course in the small town of Gosport, Indiana. Currently created in BTB with intentions to get it into max to smooth out and add additional terrain and buildings. This is my grandparent's hometown, about 500 people, like going back to the 50's. The hard part will be creating the adjacent streets (see map) and the other buildings. The current track has a very nice feel, and you get a bit of air heading down to the kink just before Brigg's. 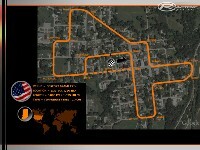 3km course. Stay tuned.